Dubai, UAE – Nokia has launched the new Nokia E6 smart phone at a special event held at the XVA Gallery in the Dubai International Financial Centre. 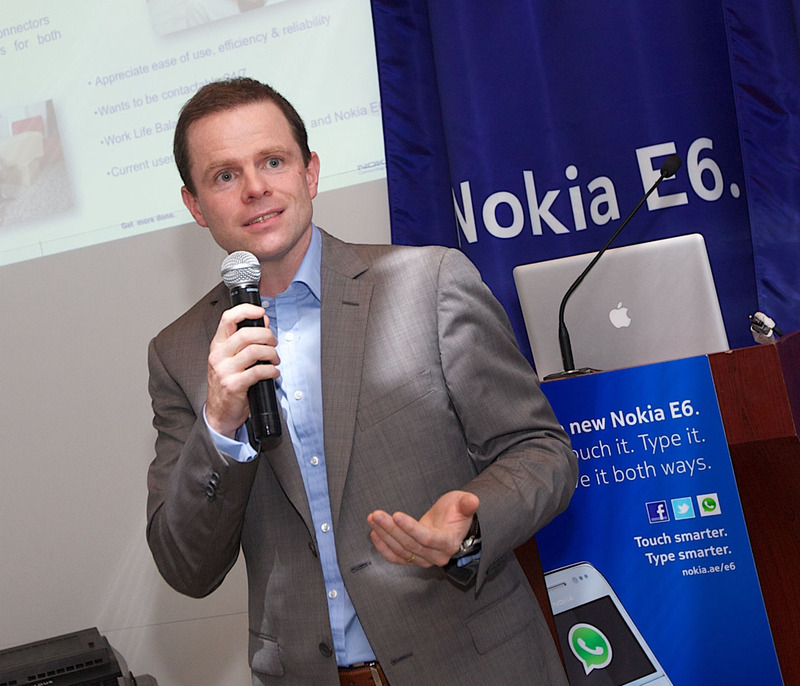 The Nokia E6 device, which features both touch and type alongside strong social networking functionality, was introduced to members of the media and public during a themed evening which featured Nokia’s General Manager of Lower Gulf, Tom Farrell alongside speaker, Hussein Hallak and local comedian Ali Al Sayed. Throughout the event, attendees learned more about Nokia’s drive to meet the demands of burgeoning social media scene in the Middle East , got a hands-on feel of the many features of the Nokia E6 and had a chance to win great prizes such as a new Nokia E6 of their very own. “The Middle East consumption of social media is growing meteorically, with well over 2 million Facebook accounts in the UAE alone, predominantly among the youth of the region. On the go access and connectivity amongst friends is increasingly important for today’s smart phone user. With this in mind, Nokia have developed the E6 to become the essential smart device for anyone looking for seamless on the go social connectivity and engagement. The Nokia E6 also brings a unique touch and type user experience that was designed to help satisfy the different interactivity demands of the most social users, while the new Symbian Anna platform offers a host of usability enhancements, including fresh, new icons, improved text input, easier and faster internet browsing experience,” said Tom Farrell, General Manager, Nokia, Lower Gulf. This latest addition to the Nokia lineup of feature rich smart phones is packed full of applications to keep even the most active users satisfied with its selection of social networking functionality. Nokia E6 users will also be treated to great local applications to keep them up to date with local news and events as well as updates from their favourite media providers. The huge range of applications available through the Ovi store ensures that users can access all the tools they need to stay up to date and connected to their world while on the go. To satisfy the instant messaging needs of today’s smart phone user, the universally popular “What’s App” is also available for download on the Nokia E6 through the Ovi store. For the first time in the UAE, consumers can now purchase any of the broad range applications from the Ovi Store and directly bill them to their Etisalat account. “We can no longer wait to be infront of a computer to interact with our friends and connections through social media, we want to do it while we are on the move and so more innovation in mobile functionality and social connectivity is always a step in the right direction,” said Hussein Hallak, speaker and regular guest on MBC's technology segment. The Nokia E6 is designed using premium materials such as glass and stainless steel, the device comes in a compact size that makes it easy to use with either one hand or two. The Nokia E6 offers exceptional battery life and the best out-of-the-box Microsoft messaging experience, including access to Microsoft Exchange, Microsoft Communicator Mobile and Microsoft SharePoint. The device also features including true enterprise grade security with hardware accelerated encryption, and new e-mail features such as full meeting request support. At Nokia, we are committed to connecting people. We combine advanced technology with personalized services that enable people to stay close to what matters to them. Every day, more than 1.3 billion people connect to one another with a Nokia device – from mobile phones to advanced smartphones and high-performance mobile computers. Today, Nokia is integrating its devices with innovative services through Ovi (http://www.ovi.com/), including music, maps, apps, email and more. Nokia's NAVTEQ is a leader in comprehensive digital mapping and navigation services, while Nokia Siemens Networks provides equipment, services and solutions for communications networks globally. 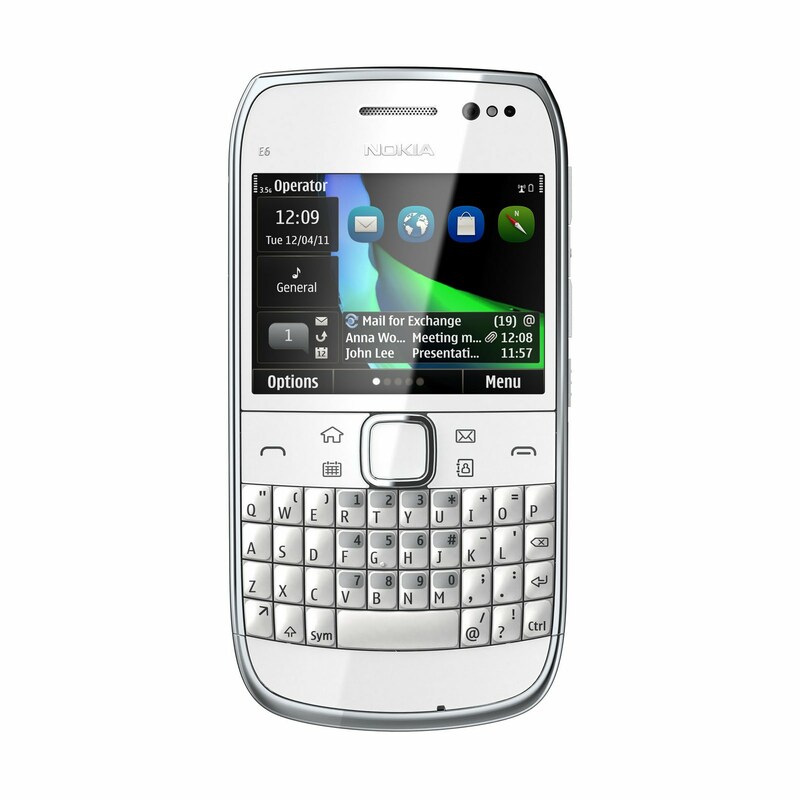 New Nokia E6 have one of the most branding mobile phone ever i scene i agree with Keeping it social.